how to do good caring, how to have less anger and more love. I had not loved like a brilliant star. Loving didn't come easily to me. yes I could do that, I know that deep down somewhere I have it in me to do that. and I have some idea about potential solutions. and you want to add your thoughts. maybe not for you, or not for me, or not for anyone. no attempt to get to any final definitive answer. More: the LoveLine is part of huge worldwide changes. It has to do with science. Science: if we add two plus two, we get four, time after time. between people, time after time. and several tons of experience. a foray, into areas I care about and keep learning in. 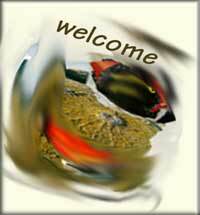 something where there is room for surprise, for spontaneous and sought-for insights. So, once again, these are not words from on high, but words from an explorer. I read of a study a few days ago, a study done on a group of nuns. (probably no longer an okay word). in my mind, in my life, in everything, on roads less traveled, new paths, explorations. And there is very little I find more interesting than warm loving. Loving is a lifeline. Loving - lifelong learning, living. Love - something we need to flourish. and holding out the love line to you. How to Keep the Love Light Burning, click here. What to Do When Anger Comes At Us, click here. about what I'm planning to do in the LoveLine. I'm someone who likes to keep a record of how things evolved. You have a love problem. I'll try to suggest a potential solution. Of course, I may not be able to. or you may not like it, or may actually not want a solution. You have a love problem. And the solution may not work, or anyway, may not work for you. and everything to do with self-exploration and self-knowledge. My starting point: this is an area where I'll never stop learning. 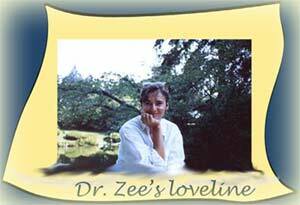 Dr Zees LoveLine - maybe a lifeboat, a raft, a life buoy when the going is a bit rough. instead maybe hiding our heads and eyes and ears from loads of evidence.